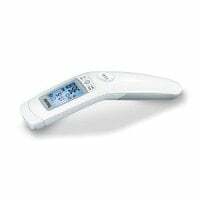 The thermometer provides a quick and easy determination of body temperature. 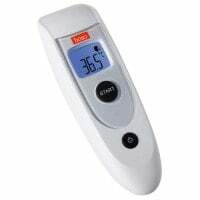 In addition to the classic thermometer, you will find a large selection of digital thermometers and infrared thermometers, such as ear and forehead thermometers, in our online shop. 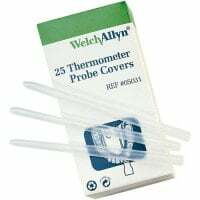 Disposable Probe Covers for ri-thermo N, 100 pcs. 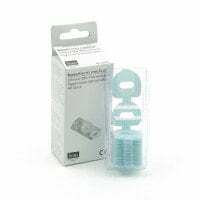 Protective Caps for SureTemp Plus 690, 1000 pcs. Thermometers are simple, yet very helpful diagnostic instruments that are used to determine a patient's body temperature. In medicine, one differentiates between classic thermometers, which use mercury, and digital thermometers. 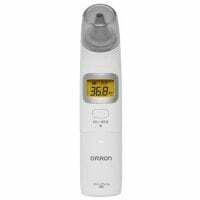 Thermometers with digital temperature displays can include ear thermometers, forehead thermometers or universally applicable probe thermometers. Depending on measurement and device type, the thermometer can determine body temperature using varying methods. A contact thermometer carries out the measurement either orally, axillarlly or rectally, whereas newer devices use non-contact, infrared measurement. 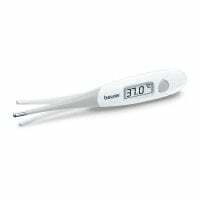 The classic fever thermometer operates based on the principle of expansion: determinant upon the body temperature, a liquid in a glass tube expands with coordinating vigor. While earlier models used the poisonous measurement fluid, Mercury, classic thermometers are now filled with non-problematic Galinstan. Before taking a new measurement, it is necessary to return the thermometer to it's original state, so as to prevent incorrect measurements. 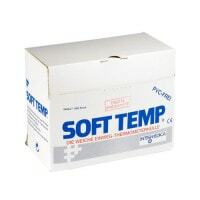 Proper usage of this thermometer type delivers accurate temperature results. Because the classic thermometer involves a closed and sealed system, it can be very easily cleaned and disinfected. 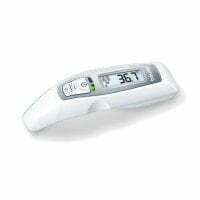 This thermometer type also does not require any use of electricity, as opposed to digital thermometers. 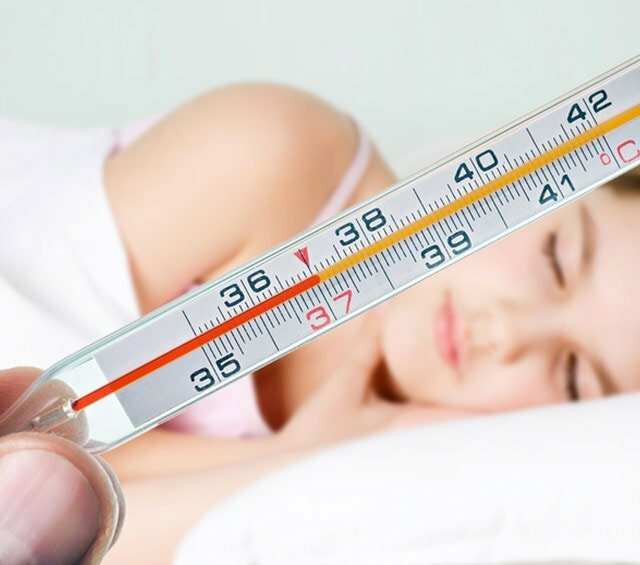 Fever measurement with a classic thermometer can be carried out either axillarlly, rectally or also sublingually. The digital thermometer surpasses the classic thermometer in many areas, as it excels through a short measurement time and simple operation. Many of our available digital thermometers include storage space, which allows for problem-free, procedural control. The measurement limit of the temperature measurement is most often indicated by a signal tone or coordinating display. Some thermometers signal extreme body temperatures with acoustical or optical indicators. Furthermore, some devices also have an automatic switchoff, which shuts down the thermometer after concluding the measurement; some also have a battery change display. Infrared thermometers (IRTs) determine the temperature by measuring the thermal output of the eardrum or forehead. Infrared measurement is carried out without contact, which makes such devices excellent for use in hospitals and surgeries. It only takes a few seconds for a non-contact measurement with an infrared thermometer; thus, this method is best for temperature determination in babies and toddlers. 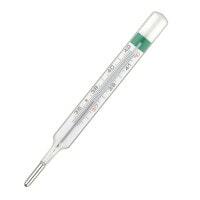 With this type of thermometer, the temperature is measured through a probe. Usually, contact thermometers allow one to decide where and for whom (adult/child) the measurement should be carried out. 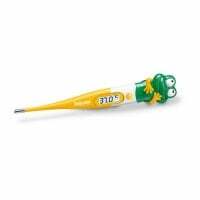 Probe thermometers can be operated with probe covers, so that they can also be used for hygienic measurement in surgeries and hospitals. The ear thermometer is widely popular for home applications, but is also finding more use in surgeries and clinical environments, in recent years. 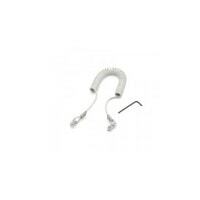 With this modern and easy to use thermometer, the body temperature is measured with infrared in the auditory canal. Because the measurement process is contact-free, this measurement style is completely painless for the patients and finished within a few seconds. For this reason, the thermometer is excellent for use with children. 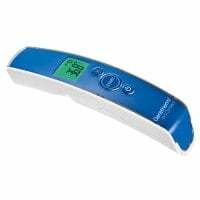 The forehead thermometer determines fundamental body temperature in the forehead or temporal regions, without touching the patient. 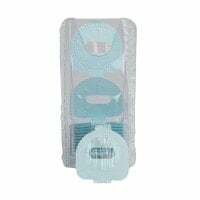 With this measurement method, no temperature measurement in bodily orafices is necessary; therefore, making it especially popular amongst young patients. Since the contact-free measurement is typically finished within a few seconds, it is even suited for use with sleeping children. 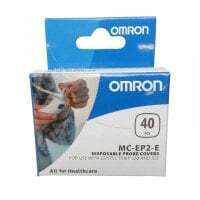 Based on the touch-free measurement style, forehead thermometers have no need for protective caps or measurement tips, making them very economical for practices and hospitals. 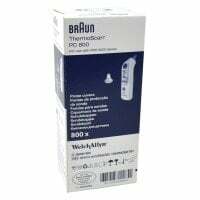 At Praxisdienst, you will find a large selection of various classic and digital thermometers from name brand manufacturers, such as Beurer, Omron or Welch Allyn. 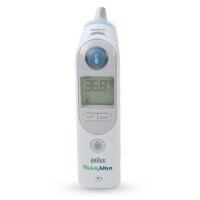 While ear thermometers and forehead thermometers are great for temperature determination in children and babies, thanks to their short and soft measurement style, the SureTemp Plus thermometer from Welch Allyn is particularly flexible in application and can be switched between measurements for children and adults. 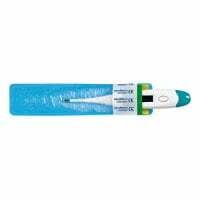 The SureTemp thermometer can also be easily extended into a rectal thermometer with the help of a rectal probe. Whether you use axillar, rectal or contact-free infrared measurement: explore the wide range of high-quality thermometers, with various measurement styles, in our online shop! Would you like to buy a thermometer and have questions about our devices or delivery options? Our friendly customer service is happy to assist. Simply talk to us!